The presence of his fellow Nicky Henderson inmate Call Me Lord at the top of the field means a handful of horses at the bottom will be running from out of the handicap, and allows Dream Du Grand Val to carry just 10st 5lb as he bids for a hat-trick. The six-year-old has had just three British outings to date - and after finishing third on his debut for Henderson, Dream Du Grand Val has not looked back in winning at Fontwell and Kelso. Admittedly neither of those events was anything to write home about, but the Puit D’Or gelding has won by comfortable margins on each occasion - even allowing for some questionable hurdling last time. Dream Du Grand Val is clearly still learning his trade - but a 6lb hike in the ratings might not be enough to arrest his progress here, with a couple of Cheltenham entries still to go at next week. Skandiburg suffered a surprise defeat on his most recent outing but can gain rich compensation in the European Breeders’ Fund Matchbook VIP “National Hunt” Novices’ Handicap Hurdle Final. He found Trixster a length and a half too good at Kelso in January when sent off the evens favourite. But Skandiburg never really looked to be travelling all that well that day, so it is a credit to him that he was not beaten further. Freshened up since that outing, he can return to the kind of form that saw him come home 10 lengths clear on his penultimate outing. 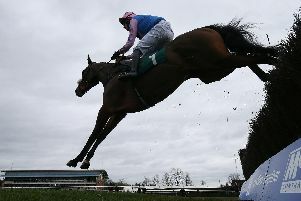 Derriana Spirit can take a starring role on Ayr’s jumps card by winning the Heverlee Mares’ Handicap Hurdle, while Skewiff is the pick in the Westons Cider Chase at Hereford. 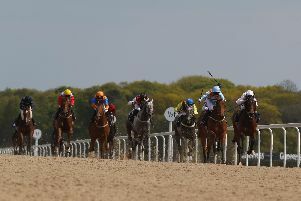 Wolverhampton hosts its best meeting of the year, and Oh This Is Us is a clear choice in the Listed sunracing.co.uk Lady Wulfruna Stakes. Richard Hannon’s charge has upwards of 5lb in hand on each of his rivals and comes here with a couple of prep runs already under his belt. After finding Hathal a bit too sharp on his return, Oh This Is Us felt the benefit of that outing when outpointing the re-opposing Apex King by a length and a quarter - giving chunks of weight away. Hannon is looking to all-weather Finals Day next month with Oh This Is Us, and he can make his final qualifying run very fruitful. Silver Quartz finished a neck adrift of Oh This Is Us when third behind Hathal, and he merits plenty of respect in the sunracing.co.uk Lincoln Trial Handicap. A dual winner for Hugo Palmer last year, Silver Quartz is now with Archie Watson - and he continues to show up well, running decent races in a couple of Listed heats at the back-end of last year before that fair Wolverhampton spin. That was his first run since a gelding operation, so he may well have not been quite at his peak and can find the necessary extra this time. Hollie Doyle will be in the plate on Silver Quartz and she will also team up with Watson’s Choice Encounter in the 32Red Handicap at Kempton’s evening meeting. He lost nothing in defeat when fourth last time, beaten just a length in a blanket finish, and a repeat effort might be good enough. AYR: 2.10 El Kaldoun, 2.45 Border Victor, 3.20 Monsieur Co, 3.55 Derriana Spirit, 4.30 Buster Valentine, 5.05 Strong Resemblance, 5.35 Shaws Bridge. GOWRAN: 1.55 Air Gold, 2.30 Lucky Ranger, 3.05 From Eden, 3.40 Reach Up, 4.15 Minella Fair, 4.50 Kruzhlinin, 5.25 Jack Hackett. HEREFORD: 1.40 Treasure Dillon, 2.15 Captain Tommy, 2.50 Skewiff, 3.25 Buble, 4.00 Top And Drop, 4.35 Envole Toi, 5.10 Newtide. KEMPTON: 5.30 Alligator, 6.00 Lestrade, 6.30 Hackbridge, 7.00 Involved, 7.30 Lethal Lunch, 8.00 Choice Encounter, 8.30 Merchant Of Venice. SANDOWN: 1.20 The Knot Is Tied, 1.50 Skandiburg, 2.25 DREAM DU GRAND VAL (NAP), 3.00 Mystic Dreamer, 3.35 Achille, 4.10 Go Long, 4.45 Darebin. WOLVERHAMPTON: 1.30 Drakefell, 2.05 Silver Quartz, 2.40 Sarasota, 3.15 Oh This Is Us, 3.50 Dahawi, 4.25 Zylan, 5.00 Thawry.